60 seconds by Ola Bola and Connections by Gobs are two new mixed media installations at Ziferblat, London's social co-working space which explores alternative payment models and work structures. Ziferblat is a self organised collaborative space which charges it guests only for time  everything else is free. Time costs 5p a minute. Inspired by Ziferblat's collaborative working style Ola Bola and Gobs will be combining their skills in design and technology, to assist each other in achieving their desired outcomes for this joint exhibition, which brings together interactive projection, sculpture and lighting design. 60 Seconds, by Spatial Designer Ola Bola, uses light and sculpture to create a visual representation of one minute, drawing awareness to the way we use time. Ola Bola makes site-specific installations with the aim of telling stories through curious concepts and carefully chosen materials. Ola's designs focus on structure and systems; how things move, their mechanisms and functions, along with how people react to the environments she creates. 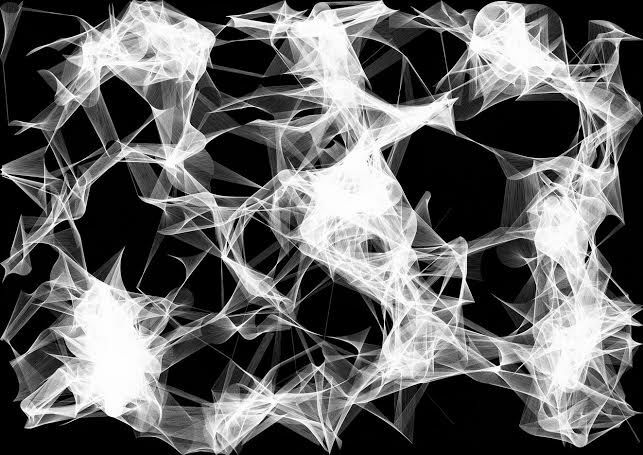 Connections, by software developer Gobs, is an interactive projection which uses code to create generative art. The basic geometric shapes composing his pieces are the result of pre-programmed algorithms, random factors and the viewer's input. Guests of Ziferblat will become strangely addicted to influencing the artwork by turning a series of dials to see the affects that each dial creates in conjunction with the other, creating a live dialogue between artwork and audience.